Eye make-up remover disks . .? 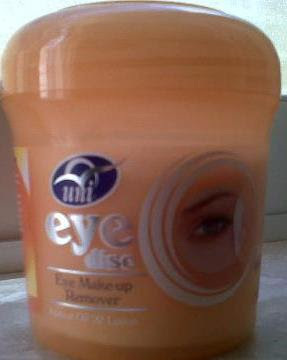 I was always a bit sceptical about eye make-up remover disks as I always though they are a waste of money . . . but after my friend tried these out and loved them, I decided to give them a go! I bought it from a Russian store in Msida called Seven Eleven (there's also one in Sliema sea front). It has 80 discs and only costs EUR 1! It smells really nice and doesn't sting the eyes at all. PLUS make-up gets off really fast! It's not tested on animals. Today I am going to review the Real Techniques brushes which I bought when I went to England a few months ago! I bought the Starter Set, Shading Brush, Stippling Brush and Blush Brush from Boots in the UK however you may buy these brushes online from a number of sites which you may view here. I have been a fan of Pixiwoo for quite a while now, I absolutely love their tutorials and I think that they are absolutely talented! When Sam announced that she will be doing a brush collection, I was quite curious to try out her brushes! A lot of reviews were comparing them to Mac brushes however they are much cheaper. I have never used Mac Brushes so I cannot compare them. What I like about these brushes is the colour coding on the brushes and that they can stand on their own. The purple brushes represent eye brushes and the pink brushes represent face brushes. Also, all brushes are black with a white tip, making it easier for clean up. All the products come in a plastic box with a picture of Sam at the back and a description of all the brushes and what they are used for. Also, all brushes are cruelty-free therefore they are all made out of synthetic hair. I have had these brushes for quite a while now and I have washed and re-washed them and they did not shed. What I like about these brushes is that after washing they all return to their original shape. They are extremely soft and feel wonderful on your face. The aluminium handle has really great grip although they are a bit thinner than normal brushes. Brow Brush- "distinctive shape easily defines eyebrows"- This brow brush is amazing, it really hits the brow in the right places! "From subtle to dramatic, this brush is ideal for creating flawless high-definition results"
This brush is a really good brush for contouring and shading, it can also double as a blending brush, however I still can't understand why it is not as part of a set. "This dual-fiber brush is the trade secret for creating airbrushed, high-definition results with all types of make up"
I use this brush for both tinted moisturizer and foundation since it really gives me a natural air brushed finish and I find my base always looks flawless thanks to this brush, if I had to suggest just one brush this is definitely the one I recommend! "Contour and define cheeks for flawlessly blended, high-definition results"
This brush is great for both powder and cream blushes and hits the cheeks in all the right places, I love the shape of this brush. This brush stands on it's own and it's great for on the move application. All in all these brushes are amazing, the only downfall is that they are a bit pricey and that they are a bit difficult to get your hands on, I remember I visited several boots outlets before I found them, however they are really worth it and I will be buying all the other brushes soon! Hope you enjoyed this review. *Disclaimer*- I bought these products out of my own pocket and I am in no way affiliated with the company. The above review is of my true and honest opinion. We are so excited to share this with you!! We were invited to New Look's Wet and Wild A/W Collection yesterday and we had a blast!!! You can see our vlogs to and from the event! We absolutely LOVED everything but the following are the pieces that really caught our eyes! We saw everything from transparent tops to knitted jumpers to coloured trousers and shorts to peplum pieces to leather pieces and accents!! We loved the transparent pink top and the shiny shorts! We also loved the shoes however you will hear more about them below. These patterned trousers were something out of the ordinary so we really loved them! We loved the slit at the bottom since it gave it a little edge! We also loved the bag! We loved this glittery gray/black pencil skirt!! Very festive! We loved the embellished top and the fabulous leather jacket! This transparent shirt with a leather accent collar was simply stunning!! We love this fitted black dress especially for the cute embellished neckline! This leather dress caught our eye especially for the strap detail! This outfit was a hit on the whole, the shiny trousers were so awesome however you have to be very skinny to pull them off! We loved the top and the detail of the collar was something which caught our eye! We loved the shape and style of this dress, the embellished Peter Pan collar is Amaaazing! We loved the knitted black and white jumper and the awesome purple trousers! This item is a definite must have for us!! The print is awesome and the shape of the jumper is really edgy! We LOVED this outfit, the printed black and white jumper was a hit with us and it looked awesome with the deep red leather shorts! We loved this polka dot transparent shirt with the white collar and the maroon blazer. In the shoes and accessories department, we saw a lot of pointed toes, suede and studs! These pink pointed black pumps are absolutely gorgeous and the heel isn't very high so that's a plus! We loved these suede pumps, not only because of the straps but because of the thick heel! We loved these suede maroon pumps! Especially loved the darker maroon on the heel! These pumps are very similar to the pink with black pumps however they are black with a silver point. They look a little more pointed than the pink pumps. We loved these outfits completely however they made our accessories list because we fell in love with that AWESOME statement necklace which came in maroon and black! We loved the shoes with the studded platform and the quilted studded bag... gorgeous!! These awesome wedges are to die for!! We loved the clutch also. Apart from that the colour of the jacket is awesome and the patterned shorts are adorable! Wedged Booties.. need we say more?? We loved these embossed heels which came in maroon and royal blue! Furry hats also made an appearance, however a number of hats were shown in the men's collection and this was the only hat shown in the women's collection! These ballet pumps were the only flat shoes shown in the collection, we liked them since they are a lovely royal blue colour and they have cute bows on the front. The whole collection was awesome, if you would like to see the Men's collection, check out our facebook page. The entertainment were none other than Red Electrick! An awesome Maltese band! We would like to thank New Look for inviting us to the event and thank you for these awesome goodie bags! Today I am going to review you a product which I never thought I would buy since I'm usually quite skeptical about these types of products. The product comes in a small white tube with a silver tap and the brush looks like your average liquid eyeliner brush. 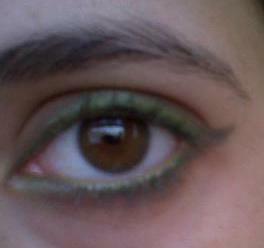 This is because it is applied exactly like a liquid eyeliner. The product itself is a transparent liquid. Makes gorgeous lashes even more beautiful in just one month! The highly effective, transparent Lash Growth Serum is proven to lengthenlashes by 25%*. Ideal as a lash-treatment at night, it can also be applied like eyeliner for pampering care during the day. This way, the active ingredients can support growth right from the roots of your lashes. For even longer-looking lashes! *Scientific tests prove: measurable lash growth after 30 days of application in combination with the CATRICE Lash Plus Lash Growth Volume Mascara! I decided to put this theory to the test so I used it for a whole month, every night before I went to sleep, however I was only using the Growth Serum. 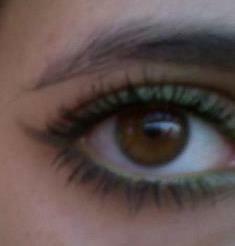 I saw quite a big difference in my lashes from the very beginning. 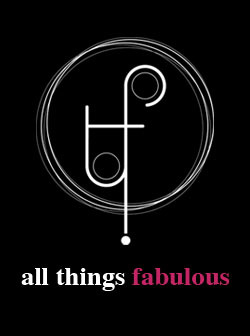 I actually received a compliment from my beautician a few weeks into using it! She actually thought I still had mascara on after trying to remove my make up since she realised I had longer lashes. As you can see from the pictures above, the first picture doesn't really do the length of the lashes justice however the second picture you may see the difference in my lashes! I really liked this product since my lashes have really grew this past month, the only downside to this product is that in the morning I used to wake up with a little dirt under my eyes. I highly recommend this product if you are looking for longer lashes! This product retails for around 5/6 euro and is worth it's price! Have you ever used this product? Let me know what you think! I was not paid to do this review and the above review is of my true and honest opinion! As you might already know, I prefer Catrice mascaras, but I decided to give this new mascara a go. 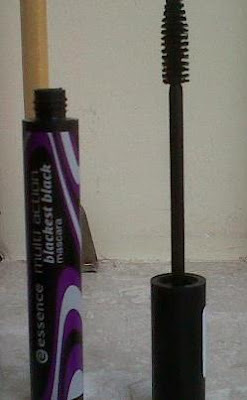 Mascara for extremely black lashes - with carbon black. Gives extra volume, length and curl! opthalmologically approved.